The Rising Phoenix Martial Arts Academy trains its students in techniques, concepts, and drills taken from the best arts that more than forty-five years of experience and research have revealed. This research continues in order to ensure that our program will not become petrified and unchanging, but will continue to grow and evolve as we do. This makes for a training program and environment that is greater than the sum of its parts. The arts are not only selected for their effectiveness but for how well they blend with each other. To better understand this, think of the five ranges, or distances, you should concern yourself with for self-defense; they are, from the farthest to the closest, Weapon Range, Kicking Range, Punching Range, Trapping Range, and Grappling Range. The majority of the more traditional martial arts programs tend to spend most of their training time on a single range, or at best, two of them; with different styles favoring different ranges. This can leave the student unprepared and vulnerable in the ranges in which he or she has not trained. For example, there are methods that favor kicking above all else. This produces strong, skillful kickers, but these kickers tend to have difficulty defending themselves if their opponents get inside their kicking range into one of the three closer ranges. Likewise, some styles only practice grappling techniques, which can lead to trouble if the grappler cannot get close enough to use what he or she knows. 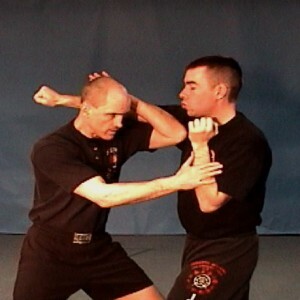 Some martial arts programs teach the use of and defense against hand-held weapons, but many of these weaponry systems focus on traditional weapons that are not likely to be useful in self-defense in our modern society. While we recognize that a very talented person might be able to make a single art work some of the time, we want to address the needs of the vast majority of the population. Through our program we can produce students that are better prepared and better-rounded. We want your martial arts training to be rigorous and productive, but we like the atmosphere to be friendly and conducive to learning. The instructors are very approachable for questions and guidance. We ask that you show each other courtesy and consideration and that your training clothing be clean, loose, and tasteful. Our goal is to start you on the path to self-improvement, to being the best martial artist and person you can be. Come train with us and see how much fun martial arts training can be!